Earth is plentiful, and product normally ships in 1-3 business days. Soot has a lead time of 1-2 weeks. See our Special Order page to submit a quote request for custom shapes, or to order Strips and some shapes. 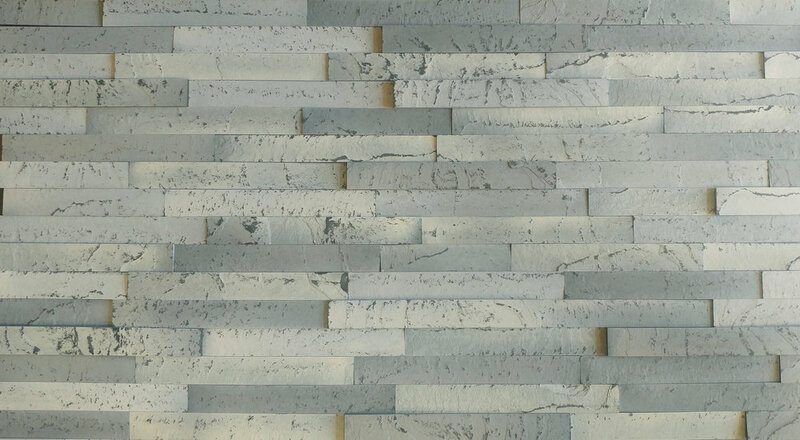 Our NEW Color Blends are Slate-ish treated with a multi-step process using natural oxide pigments and a water-based binder to create natural, stone hues. 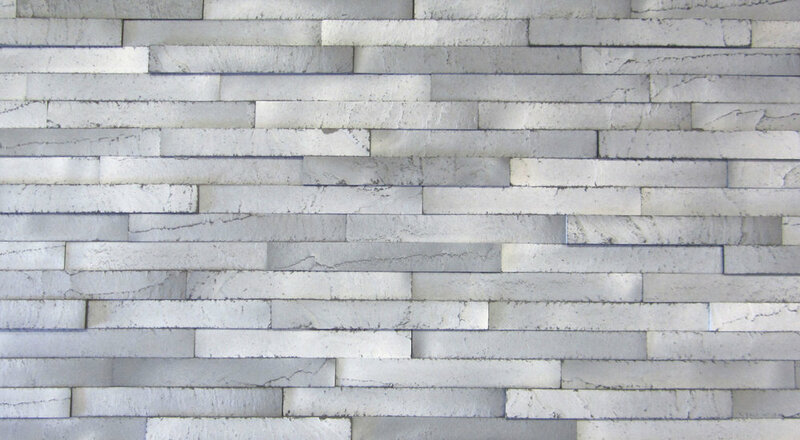 These tiles closeley resemble ledger stone, but at a fraction of the weight, and no special backing required! Available in Mesh Mounted, Peel & Stick, and Loose Tile. Color Blends have a 1-2 week lead time. NOTE: Colors may vary on your computer monitor - it's best to order samples to verify your color choice! You can order Samples HERE. Earth is ALWAYS reclaimed paper-laminate, from the manufacturer or sources that make lockers, partitions and furniture. They generate a continuous amount of scrap that they cannot use for their products, and we keep it out of the landfill! Earth is in plentiful, continuous supply. Soot is from a US-based manufacturer. In the instance that scrap is unavailable, the virgin material, which is made from FSC paper sources may be substituted. Please contact us if you have questions! This color has very limited availability, and may occassionaly be completely unavailable. Because our raw materials are from reclaimed sources, there can be variation from batch to batch, even from the same manufacturer. Blend contents from each case as you install for overall uniformity. 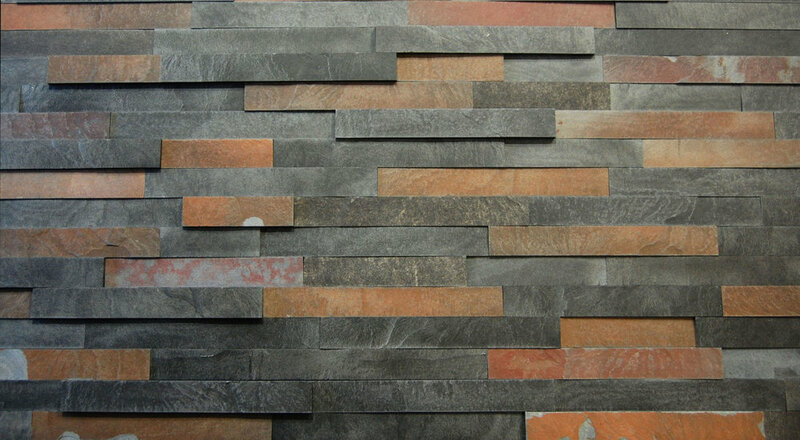 There is variety in both texture and color tone in each color. Your samples are a representation of the color - please expect variety!